In addition to being St. Patrick’s Day (I’m going to assume my sister, Cait, is already at the pub in her shiny new Welsh Drinking Team t-shirt from yours truly) it’s also our mom’s birthday. The mom-lady is truly awesome. She’s raised five mostly sane kids, has her RN degree, her BS in philosophy and psychology and her masters and Ph.D. in psych, too. She’s also an accomplished knitter (seriously, you should see the stuff she makes) and seamstress, gardener and potter. She’s also funny as hell and one of my best friends. Before you think I’m waxing too poetic, I will tell you she is the most absentminded of all absent minded professors. She’s made quiche with spearmint, mistaking it for parsley, she’s washed clothes in maple syrup instead of laundry soap because she got distracted, she’s taught class in two different shoes…I could go on. Mostly, I just want to say Happy Birthday, Mama. You mommed me good. 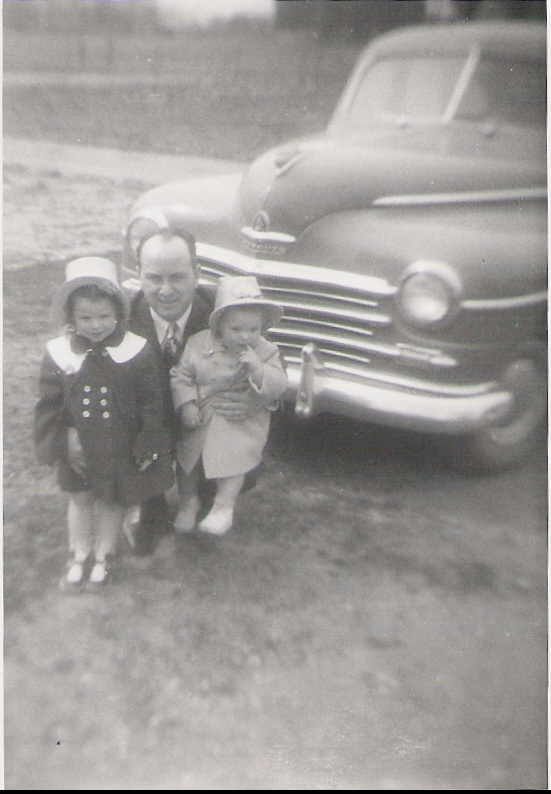 This is my mom, her younger sister and my Grandpa – all dolled up for Easter. 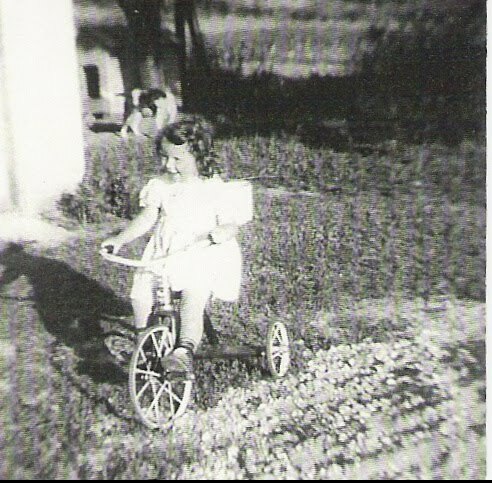 Being ridiculously cute on her trike. Yeah…still bitter that Cait got that hair instead of me. 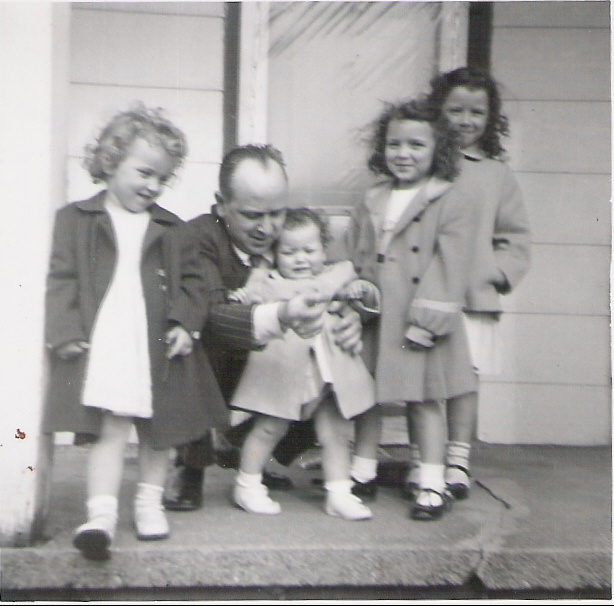 My poor grandpa – can you imagine having four little girls? Yeah, me neither. Mom-lady’s the oldest in the very back. Here she is knitting. No shock there. You can see the finished sweaters in this post – she four of them for her and her sisters. 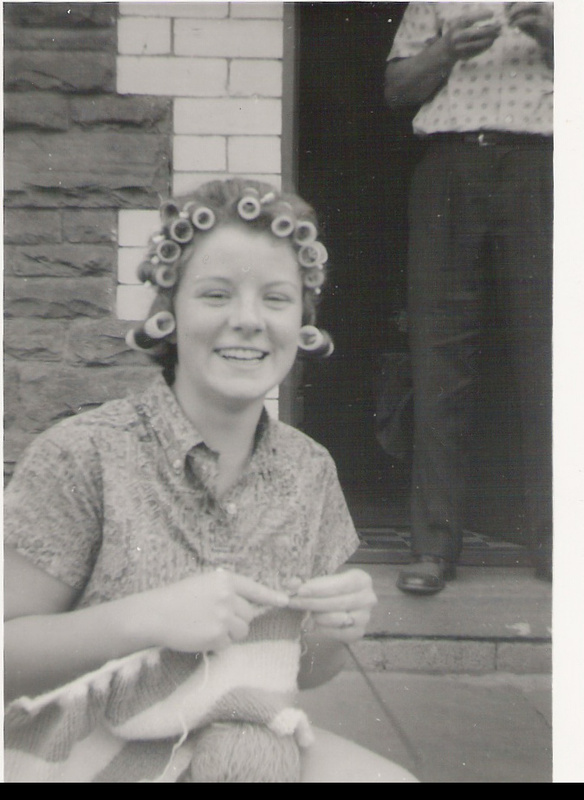 Yeah, it’s another picture with curlers. I think the only reason is ’cause it was the 60s. And yes, that would be me…and my bother Tim. 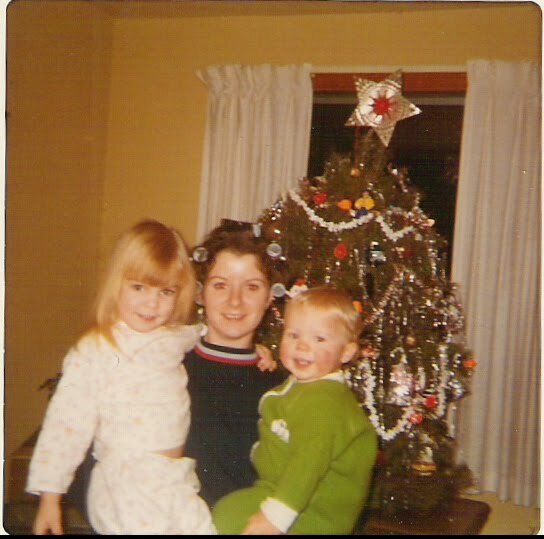 This is mom and my brothers Martin, Andrew (he’s the one that looks like Calvin from Calvin and Hobbes…acted like him too) and Caitlin in my high school bedroom. Yes, it’s puke pink. I went through a Molly Ringwald phase. Don’t judge me! Aw, happy birthday to your mom!!! Happy Birthday Bron's Mom! Happy Patty's Day. Love the pictures. Your Mom is awesome with awesome sauce. 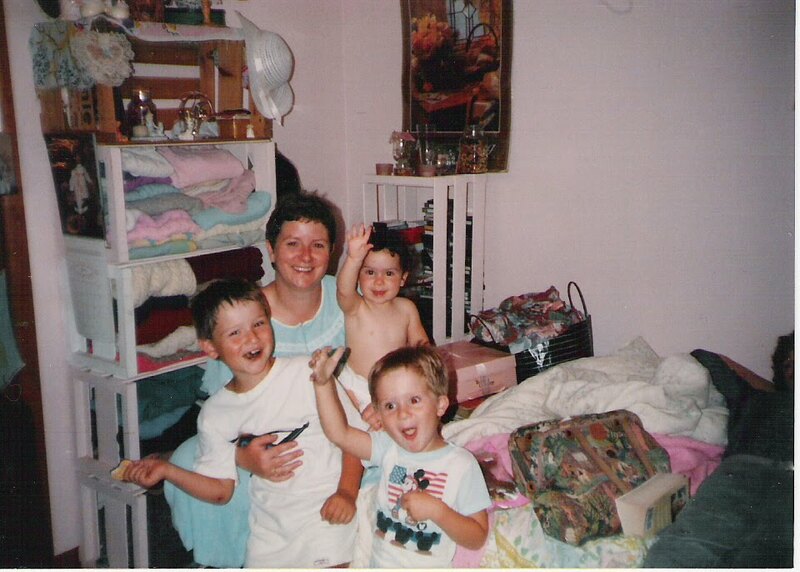 If I didn't already have an awesome mom, I'd totally want yours. Wonderful pictures. Happy Birthday, Bronwyn's mom! ← Immortal Curse is out today!